I wore this look at home. I know... I'm a loser. But what does a bloated pregnant beauty addict do with more than twelve hours on her hands? Play with makeup at home, of course! I remember those days when i would sneak away an hour or two from studying just to play with makeup! Hahaha! No more sneaking around this time! 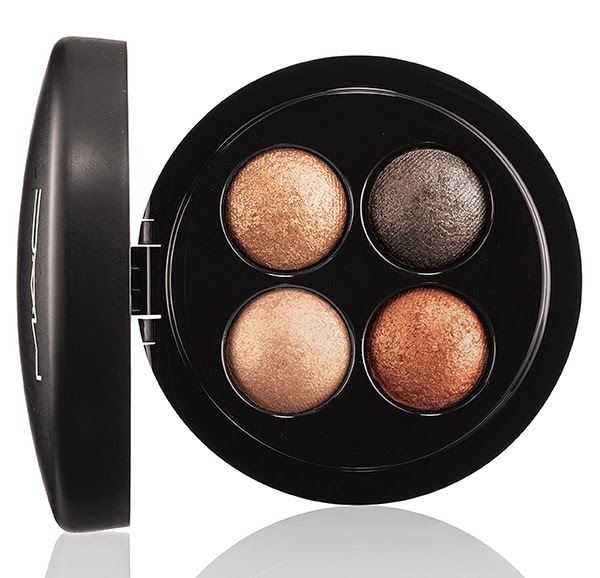 I received the MAC Mineralized Eyeshadow X4 in A Glimmer of Gold as a gift. It was released last March along with the rest of MAC's Mineralized collection which includes a collection of lip glosses and brushes. 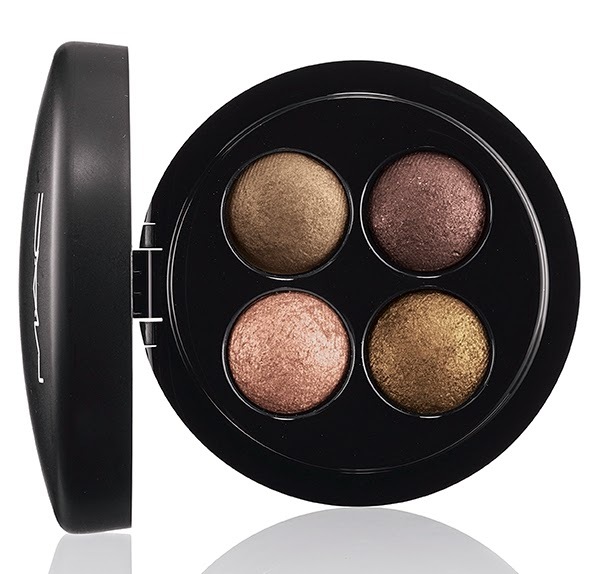 A Glimmer of Gold is part of a six palette collection. Baked mineral makeup are highly concentrated pigments, baked to a pressed finish for easy use. 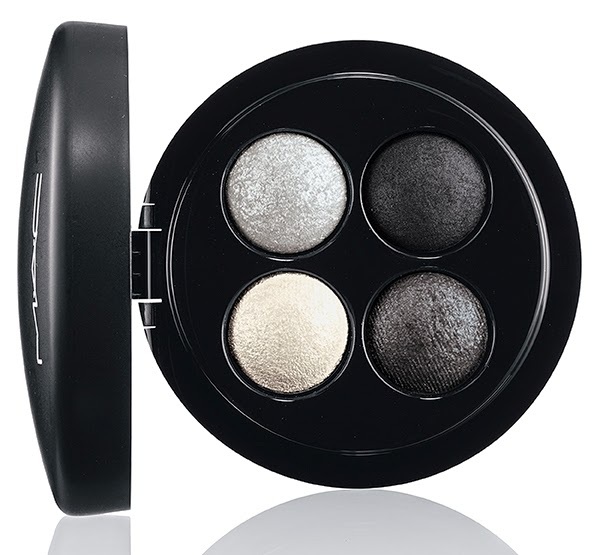 If you've worked with mineral makeup eye shadows, the ones that come in a powder form, then these babies are just the same. Another good thing is that you can use this either wet or dry. I like using my baked shadows wet, using the foiling technique same as I would the powders, to show off its true intensity. MAC Mineralize Eye Shadow comes in a sleek round case (almost the same size as their studio fix powder) but instead of a snap closure, it comes with a magnetic one. Half of which is matte (the top part) and half of the palette is glossy/shiny. It has a round mirror inside and the 4 round embossed baked shadows. A Glimmer of Gold is a collection of a warm beige gold shadow, a light copper, a warm deep copper and a pewter grey with specks of rainbow shimmers. As expected, all have shimmers in them but it's not the flecks that are hard to work with. Rather the warmth of it makes it more flattering on the lids. I love the foil effect as well as it brightens up the eyes. What's also great is that this is also a good neutral palette for everyday look. You can just smoke out the edges for an evening makeup look. 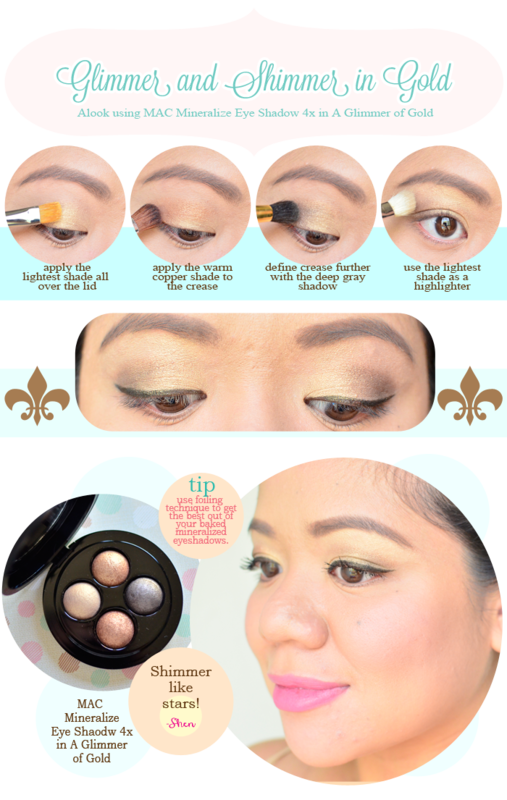 To foil and bring out the intensity of the shadow, I use MAC Fix+ and my favorite MAC 242 brush..